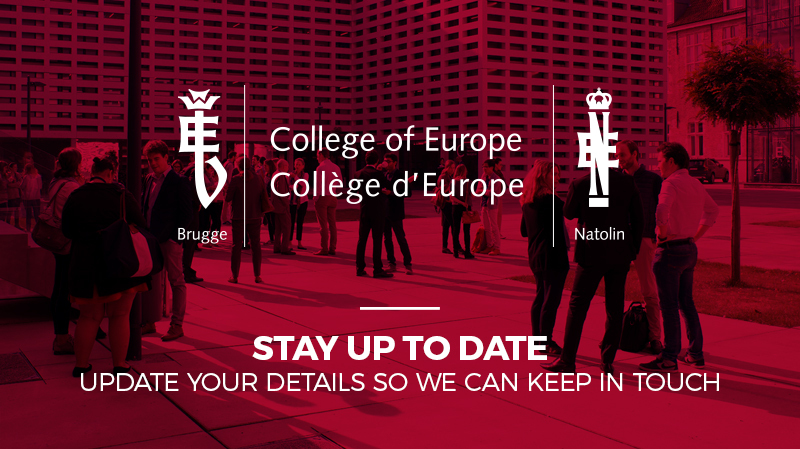 Please indicate which publications / newsletters you would like to receive from the College of Europe Bruges campus. We’re looking forward to staying in touch! Disclaimer: We will use your contact details to send you information related to the College of Europe activities and its academic programmes. The collection of e-mail addresses will not be shared with third parties.